If you’re tired of squinting at your smartphone while watching a movie, wouldn’t it be convenient if you could play it on a larger screen? Well, you can, but getting it onto your big-screen TV isn’t always the most straightforward process. There’s heaps of options to choose from; one popular one being – Chromecast. Though, I personally would recommend a Chromecast ($35), for casting your Android or iOS device screen to TV; it’s not the only option out there. 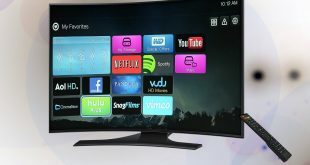 Over the past weeks, we have tested several ways to mirror your smartphone to you TV. 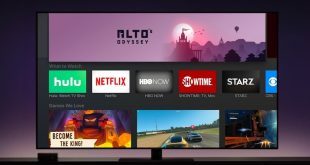 From Apple TV to Smart TV to MHL cable, each method have their own pros and cons, so here are are some of the best of them. Have a smartphone and a simple TV with only a HDMI port? Well, guess what, Chromecast is not the only streaming device that can cast smartphone to TV. Amazon Fire Stick, Roku, Apple TV etc all have screen mirroring options built-in. While Amazon FireTV stick ($39) is not as good as chromecast, when it comes to streaming, it still works. You can reach the mirroring option by pressing and holding the Home button on the Amazon Fire stick remote. Rest of the drill remains the same as long as both the devices are on the same WiFi network. Apparently the 3rd generation Fire Stick no longer supports this feature. Roku 2017 and above models also support screen mirroring for Android and Windows 10 users. To enable mirroring on your Roku go to Home > Settings > System > Screen Mirroring. Once there, select your preferred way of connection. Next, on your Android smartphone, go to Settings and look for Wireless Display Options. You should see the Roku wireless display there. Just click on it followed by cast screen to start the connection process. Apple TV has one of the simplest smartphone mirroring options but it comes with a limitation of being able to be connected to only an iPhone or iPad only (sorry Android users). You can simply click on screen mirroring icon in the control bar by swiping up from the bottom of the screen and clicking on your Apple TV’s name. And not just that, you can even record your Apple TV screen with your Macbook. Something to keep in mind, as no other media streaming device offer screen recording feature. Overall, when it comes to screen mirroring Chromecast is the king. It works for Android and iOS, without any lag. 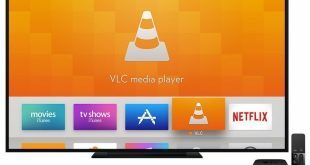 While Roku, Fire stick and apple TV are also good option, if you already have them. But what if you don’t want to carry an extra dongle with you all the time? Well, that’s where smart TV comes in. Most smart TV’s now come equipped with Miracast, meaning you can connect phone to TV directly, without the need for extra hardware. 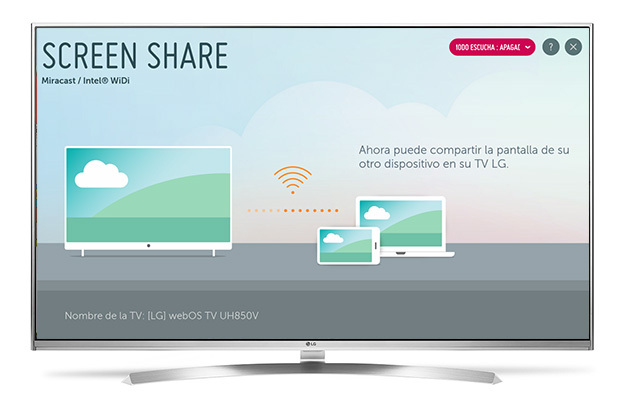 For instance, we have this LG smart TV with us, that supports screen mirroring via Miracast. For the unknown, Miracast is Wireless standard, designed for mirroring a smartphone, Windows PC screen to a television without requiring any physical cables. FireStick and Roku both uses Miracast standard, and so does most Smart TV. This is why, you’ll find most Mirroring devices are compatible with Android and Windows computers but not with Apple devices. 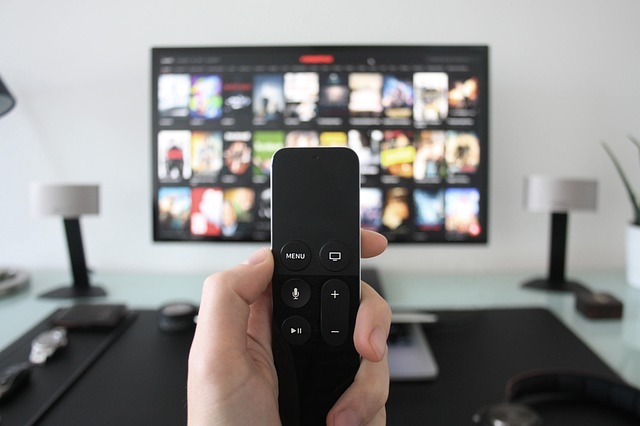 Like Chromecast, Miracast also uses the peer-to-peer connection, meaning the mirroring can be done securely and without an Internet connection. 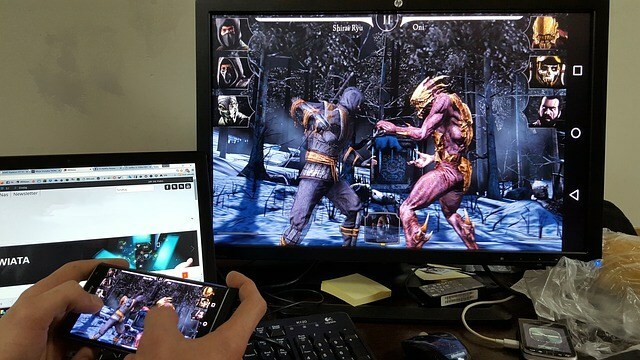 Miracast hardware also support HD and 4K streaming, we were able to play games and HD videos without any issues, even though the connection is wireless, there is no lag. And yes, for all those who are wondering, Miracast transmit both Audio and video. However, there is a downside of using Miracast. Unlike Apple’s AirPlay and Google’s Chromecast, which can directly pick up the video source from the web (like when casting YouTube videos from the Chromecast) Miracast on the other hand, can only mirror a device’s screen. Meaning, with Miracast, your phone’s screen would have to stay ON the entire time. Overall, if you are looking for long term solution for your businesses, Miracast could make video conferencing, slide shows, and product demo. For home users, Miracast offers a great way to stream high-definition videos. If it’s just a one time thing, we don’t really recommend getting a smart TV to get screen mirroring, there are much effective and cheaper way to do that. For example, if you just want to mirror your Android to your television for a one time presentation then it makes no sense to buy an expensive device. Instead, if you have a computer handy, you can use it as bridge. Simply connect your windows computer to your television using a HDMI cable and set it up, to be used as an external monitor. This way, everything that you see on your laptop will be cast to your TV. Like the previous method, this one is also more of a hack then an actual workaround. Instead of getting a Smart TV, a better solution is to get a cheap Miracast dongle from Amazon. Consider it as a cheaper alternative to chromecast. They come from a local brand, and support 3 modes, Airplay/DLNA/Miracast. Meaning it’ll not only works for Android and Windows PCs but also support Apple ecosystem. 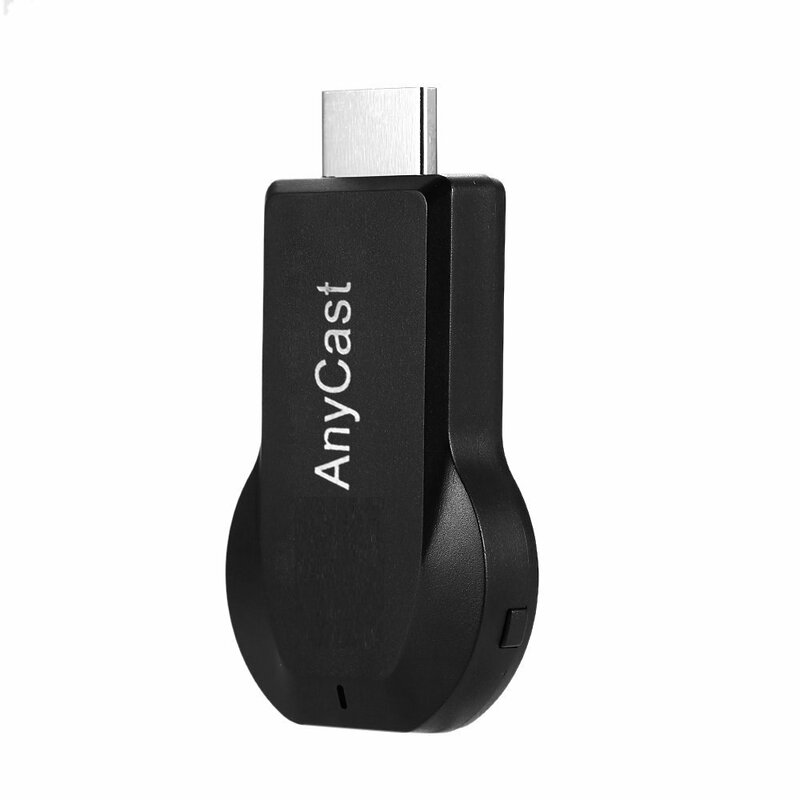 To get started, simply plugin the Anycast dongle to your TV HDMI port and power it on with the USB cable that come along with it. Next, you will see the AnyCast page under your WiFi settings, connect it with your WiFi network and it should start casting your smartphone screen to bigger TV. One thing to keep in Mind is, some streaming apps (like Hotstar and Jio TV) do not support screen mirroring while using Miracast standard. So, before you make a purchase make sure to read the reviews to find out what works and what not. While the screen mirroring is good with no lag, the only issue is, a decent Miracast dongle will cost you 15 to $20. You can easily buy a Chromecast for $35, which offers much more feature over Miracast dongle. And let’s be honest, although, it’s practical to spent $15 extra and get a Chromecast instead. So, wouldn’t it awesome, if we can get screen mirroring for cheap. Well that’s where MHL cable comes in. In fact, they are the whole reason, we come up with this topic. For those who don’t know, MHL cable is a cable that can cast your smartphone screen to a larger screen. MHL cable support screen mirroring right out of the box. 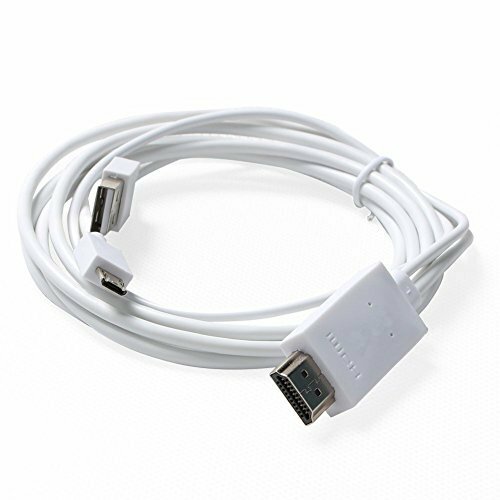 Simply connect one end of an MHL cable plug into the micro USB port on your phone while the other will plug into an HDMI port on a television or monitor. There is another USB end, that acts a power source, you can either plug that to the USB port of your TV (like you do with Chromecast or Firestick) or put it on wall adapter. Although, MHL cables are easily available on Amazon for less than $10, we decided to tried our luck on local stores. And guess what, it was our lucky day, we got the cable for both Android and iOS, for less than $7. To connect an Android device to a TV, simply insert the HDMI end to the HDMI port of your TV and power on the USB as well, next, insert the other micros USB end to the Android. And that’s it, it’ll start cast right out of the box. Similarly, to connect iPhone to TV, you can get a similar cable with lighting connector on it Although, we had to add our television as a trusted device for it to work. In terms of performance, there is no almost no lag and you can cast Audio as well. Making it perfect for business and home use. The only downside is, MHL requires an MHL-compatible device. So, before you buy a MHL cable, Google if your devices support MHL. In our experience, most Samsung device do, and so does iPhone with lighting port. Works only on MHL compatible devices. So, this was our take on how to mirror your smartphone screen to TV, what did you guys think? Do you have any better method that we miss? Let us know in the comments below.